What does "Authentic" saltillo tile really mean? The word "authentic" gets tossed around quite a bit - frequently inaccurately. Case in point: Authentic Mexican Saltillo tile. Many places will claim they are selling Saltillo tile but what they are selling is machined tile that is not made from real saltillo clay. From Mexico. Fla-Mex Tile has been selling the real deal - hand made, saltillo clay tile from Mexico. I've been in this business for over 37 years so I understand delivering authentic Mexican products at an affordable price. If you aren't familiar with us, please stop in and take a look at our showroom. You're going to come away impressed by both the diversity of our product line as well as how competitive we are on pricing. When it comes to flexibility, it's tough to beat Mexican Saltillo tile. Many people think of it as simply being square but the reality is you have far more design options with Mexican tile than you do with others. As the video to the right demonstrates, you're only limited by your imagination. 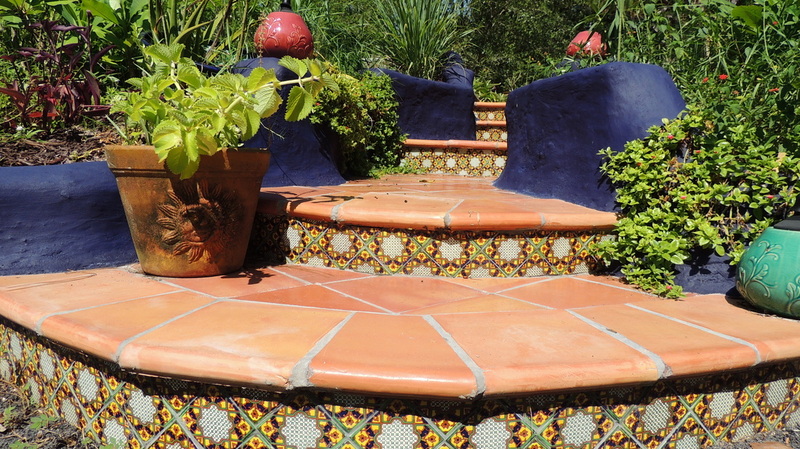 Get create and make your own statement with the timeless, natural beauty of Mexican tile! 6" Octagon Mexican Tile makes a statement! You may have never seen these tile but give a room a real personality with their clean, rustic look! Normally a 12" Mexican tile is used in a room but if you have a smaller room that might require a smaller tile more appropriate for the space, consider the 6" Octagon! A Dash of Personality with Talavera! If you're putting down a floor and want to give it a little dash of color, think about adding a solid dot of color or a patterned Talavera Tile. Talavera has a timeless beauty and can work as a stand alone back splash, a hint of color or a border of a room! Most people think of 12 x 12 mexican clay tile and they think of indoor projects. However, you can create an incredibly awesome outdoor living space using Saltillo tile! Check out how Mexican tile looks in an outdoor living space! We carry and have in stock all different sizes of Mexican clay tile: 12 x 12 stars, double antiqued 8 x 8 with pickets, Rivera, San Felipe, you name it, we carry it. Stop by our enormous warehouse or give us a call! We're conveniently located in South Florida and carry one of the largest selections of Mexican Tile in West Palm Beach and the surrounding area!